You can switch between big and small forms on the fly, but as far as general exploration goes, I never found a reason not to use their big forms. 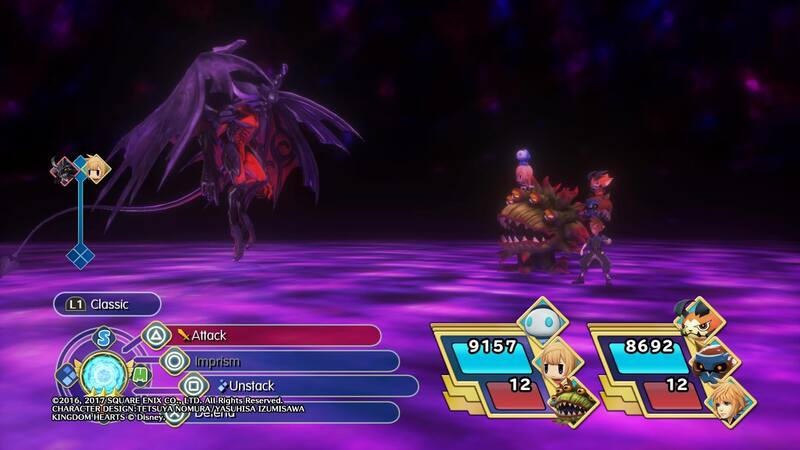 World of Final Fantasy takes place more specifically in the world of Grymoire, a series of connected islands floating out in space. It is inhabited exclusively by pint-sized, cute humans called Lilikins. You play as the amnesiac twins Lann and Reynn, the only people with the power to switch between “normal” and Lilikin forms. The twins also have the power to collect and command Mirages, monsters from other worlds, and they are on a quest to regain their memories and find their mother. The casual implausibility of it all might be hard for adults to swallow, but that’s fine since the game is directed at children. Grymoire is a vibrant, cartoony place, and even the foreboding areas often offer flashes of whimsy, figuratively or otherwise. It is an attractive video game in general, with joyous art direction. The music too is of very high quality, with many serene tracks and also many energetic remixes of old Final Fantasy series songs. 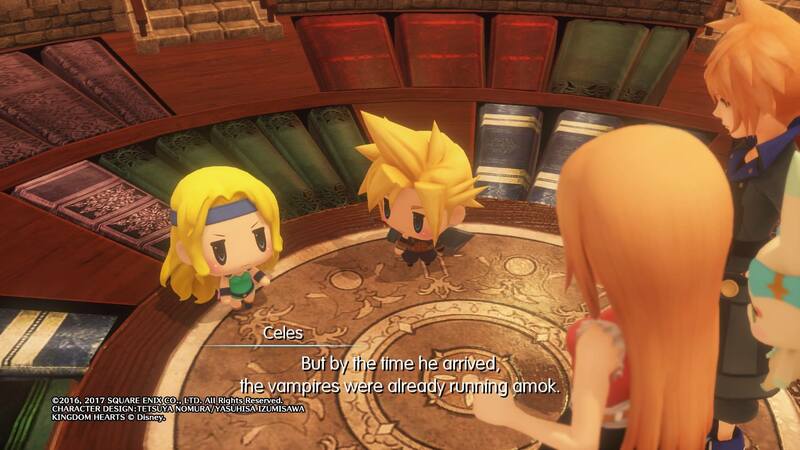 Remember that classic Final Fantasy moment when Celes and Cloud fought vampires? Speaking of which, many of the game’s Mirages are lifted directly from past Final Fantasy games, and almost all of the good guys in the game are heroes from the Final Fantasy series. The difference here is that, when you run into someone like Cloud or Squall, they are truly inhabitants of Grymoire who grew up there; they aren’t magically dropped in from their original-game worlds. That means characters from different games will interact with each other in natural and surprising ways. It results in very episodic–yet also very disjointed, poorly-paced–storytelling. Lann and Reynn move from place to place, bumping into cameo characters at odd moments and overcoming trivial enemies together. The story doesn’t really go anywhere until toward the end, when suddenly it employs a few clever ideas (albeit too late to matter). Exacerbating the problems is that the script is really drawn out; things that could be explained in one sentence are stretched over seven or eight for the sake of squeezing in more jokes. The jokes in cinematics are aimed entirely at little kids, and they were typically so numerous and so cheesy that they left me numb. (And I usually like cheesy jokes!) However, that being said, immense praise is deserved for the localization of this game. There are so many puns and other assorted jokes in this game that must have been very difficult to localize from Japanese, but they did it! Specifically, I’m talking about the myriad descriptions of Mirages in the bestiary of the game: Every monster gets a short biography, and they are all written in a comical way. Unlike with the actual dialogue, I laughed many times at the funny, goofy descriptions of Mirages. It’s strange that all the best writing was reserved for the peripheral aspects of the game. Or maybe the writers were just better at telling jokes than telling stories. I didn’t actually use Malboro much. I just thought he’d look good in a screen capture. Combat in World of Final Fantasy is a great mix of new and old. The foundation is classic turn-based RPG combat and all of its trimmings. But on top of that foundation, it applies the concept of “stacks”: Lann and Reynn can stand under or on top of Mirages in a stack, and a stack operates as one individual unit. A stack is the sum of the stats, abilities, resistances, and weaknesses of the entities who compose it. It’s a very clever and fresh concept that could only be achieved in a silly game like this. The concept is never taken as far as it can go though. For instance, a stack can dissemble into its individual entities, allowing each of them to attack on their own instead of together. But the game almost never puts you in situations where you would want to do this; stacks are almost constantly preferable. Likewise, the game in general is pretty easy. I was able to progress through all of it using mostly the same stacks, so I never had much reason to experiment with other setups. This is an original villain. I’m always a sucker for “giant armor” villains like Golbez and the Magic Emperor. In fact, the only times I would regularly change my setups were in the pursuit of capturing new Mirages in battle. Unlike in Pokémon, you cannot capture a Mirage just by beating it up a little. Instead, each Mirage has a specific condition to satisfy in order to make it vulnerable to capture, such as hitting it with a bunch of fire-elemental attacks first. Capturing Mirages is expectedly addicting, and finding some Mirages inadvertently allows you to transform other Mirages you already have. It ends up being a lot to learn, but it is surprisingly easy to grasp. I had a lot of fun collecting Mirages for a while, until I finally realized that the team I already had was more than strong enough to defeat all threats. Lastly, the game allows you to invoke special attacks from the heroes of other Final Fantasy games as summon abilities. You can also summon extra-large Mirages to fight on your behalf. However… I forgot to ever try out either one of those functions. The game was just too easy to warrant them. But to reiterate, the game is aimed at kids and I’m an extremely seasoned player, so it’s entirely possible the difficulty is justified in this case. 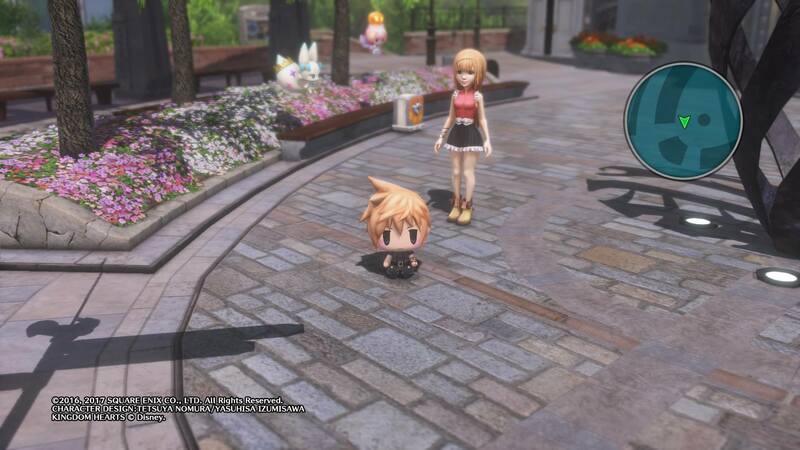 World of Final Fantasy is far from perfect, and some might even deem it a big waste of time. The game itself practically confesses to its flaws, in that it offers a Fast-Forward button for cinematics and combat alike. Still, the game has real charm, and I applaud Square Enix for making an earnest effort to give little kids a game that respects their intelligence. (The combat does require some strategy, and the story goes to some mature places eventually.) I would in fact recommend this as a good game for children. For everyone else, there are probably better RPGs to be playing: Catch-’em-all fans should just wait for the next Pokémon. And for people who love classic Final Fantasy, the bland scenarios in this game aren’t going to be able to capture and hold their imagination for its 40-hour runtime. 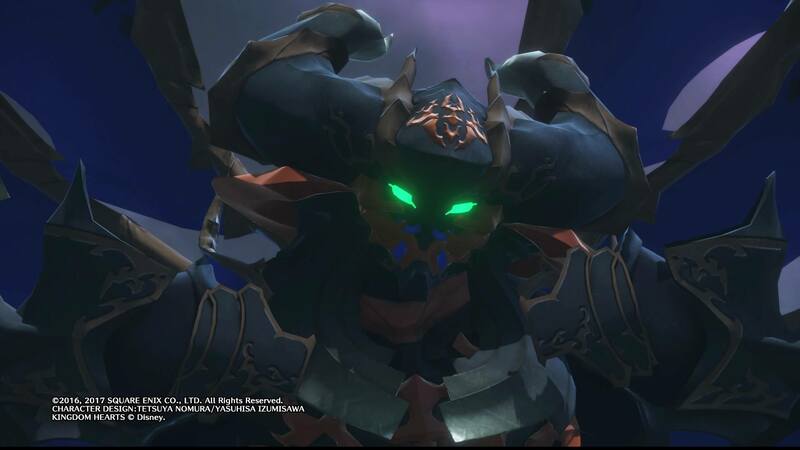 Nonetheless, the stacks, the art style, and the (hit-and-miss) sense of humor give World of Final Fantasy a unique identity, even in the sea of Final Fantasy nostalgia games that now exist. The bones here are really good. And for the young audience for which the game is intended, I think it actually (just barely) hits the mark! Lingering Final Thought: I gave World of Final Fantasy and Final Fantasy XV the same score. If I had to choose between those two titles, I would choose World of Final Fantasy 100 times out of 100. Neither game is excellent, but World of Final Fantasy doesn’t leave me with a feeling of bitter disappointment. In fact, it leaves me feeling kind of perky.